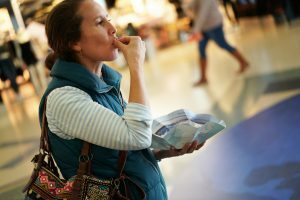 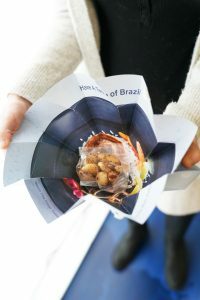 Snacks will be from Mexico, Spain, UK, Brazil, India, United States, Italy, France and Japan. 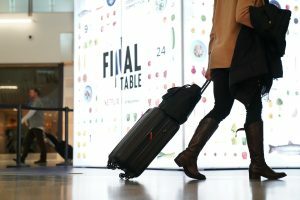 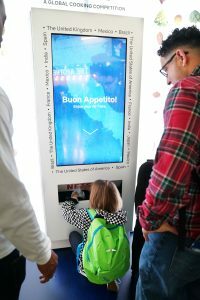 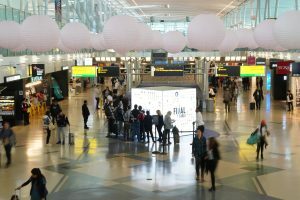 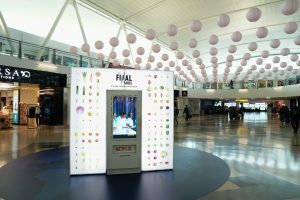 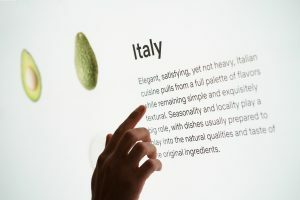 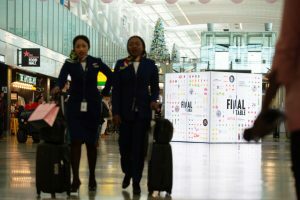 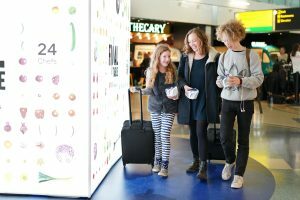 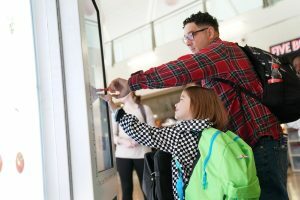 Travelers will be able to interact with a customized screen where they can select the country they wish to “travel to” on their journey. 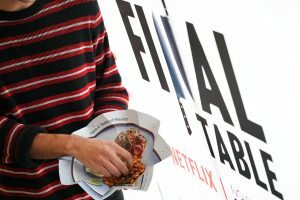 They can learn more information about the episode that highlights that country, the food, and the chefs. 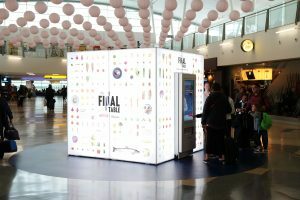 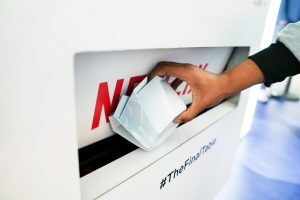 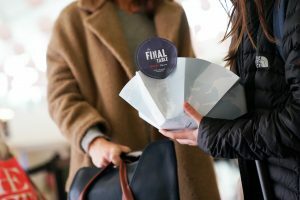 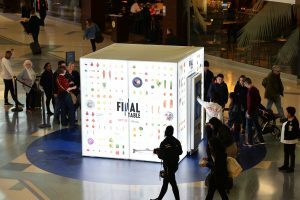 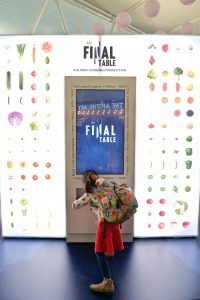 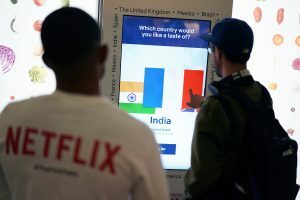 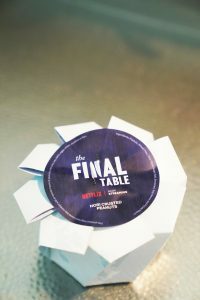 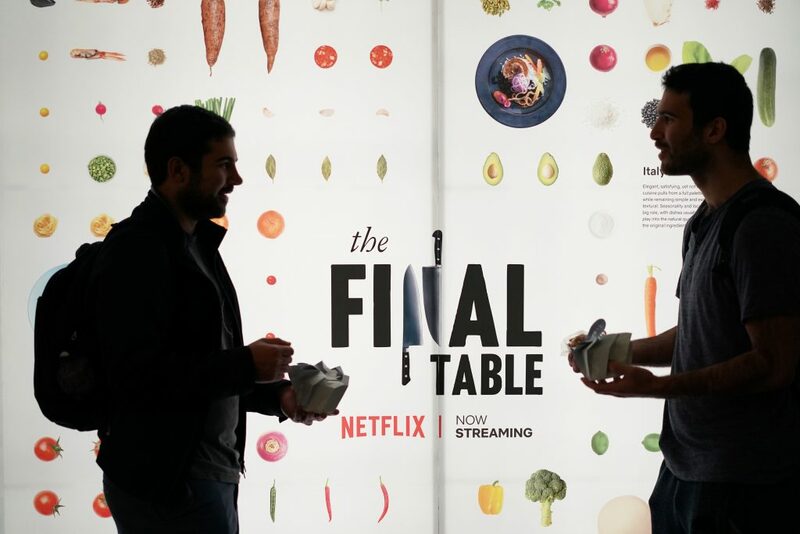 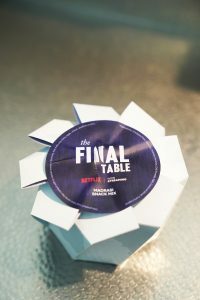 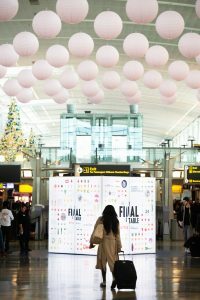 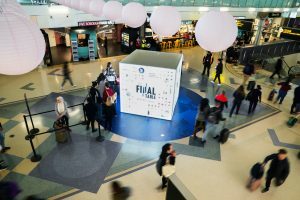 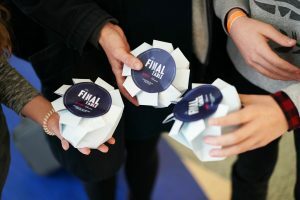 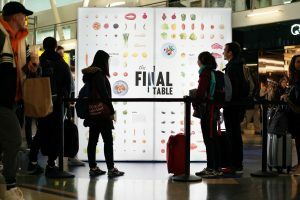 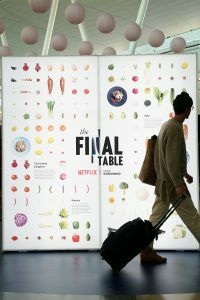 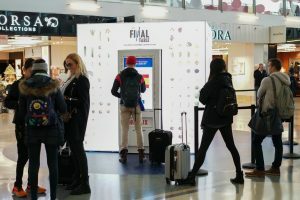 They will be shown a short clip from the relevant episode of The Final Table and will then be given a box that will be dispensed below the screen. 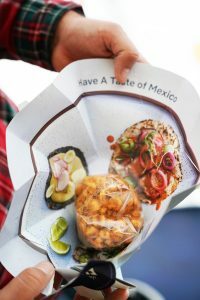 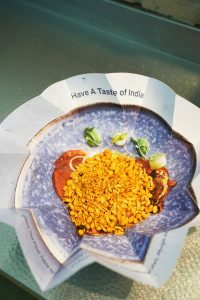 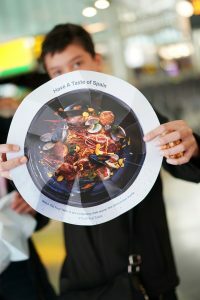 The box will include a gourmet treat that highlights ingredients from the dish of their chosen country.